Paschal Promotions is your full service Event Planning, Volunteer Coordination, Sponsorships Achiever, On Demand Promotional Distribution, and Sports Consulting Firm located in Charlotte, NC. Paschal Promotions offers 13 years experience in Event Planning and Coordination of Events. 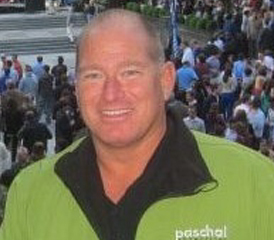 Bryan Paschal, founder of Paschal Promotions has been involved with many charity & social events and running/walk events in the Charlotte area as an Event Planner and Marketing Director. Bryan’s hobby and passion is working with non-profits to raise funds through social events and venues. Paschal started Charlotte Sports Connection in 1999 (Charlotte’s largest adult organized sports leagues and social club). After successfully growing Charlotte Sorts Connection from a participant level of 100 participants to 25,000 in 2003, Paschal sold the business to Sports Warehouse, LLC. Sports Warehouse adopted the Sports Connection name and now operates all company entities under the name Sports Connection.